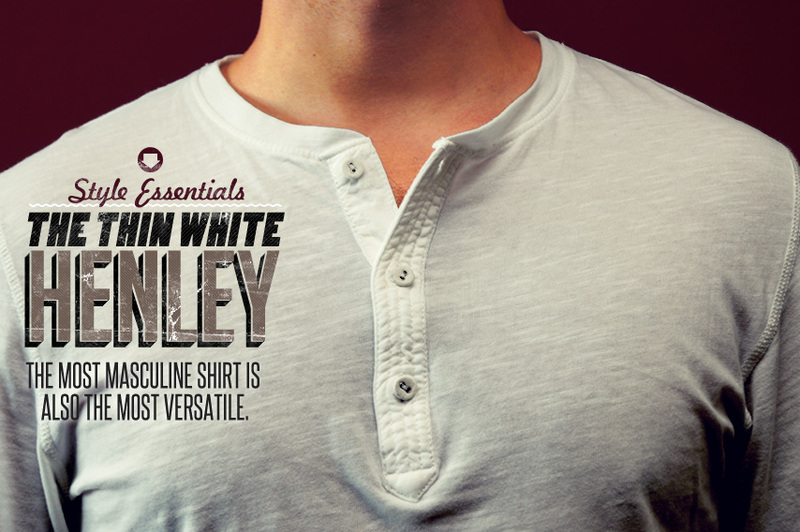 A long time ago, I wrote down a list of what I thought was the man's "essential wardrobe." You see, the great thing about pieces on that list are that they are timeless in every way. You could have worn a navy blazer or pair of dark blue denim jeans the same way 15 years ago as you can today (albeit with a bit of a different fit). However, I will admit that it can be boring to wear the same "essential" clothing day in and day out. Maybe that's why there are trends coming in and out every five, no, two years. 1. Olive green field jacket : Seems every person I know (girls included) is wearing the olive green field jacket right now. For good reason too - it looks good with everything. 2. Gray sweatshirt : This rather simple piece has gone from lazy to stylish in only a couple years. Some reason I'm all for it. 3. 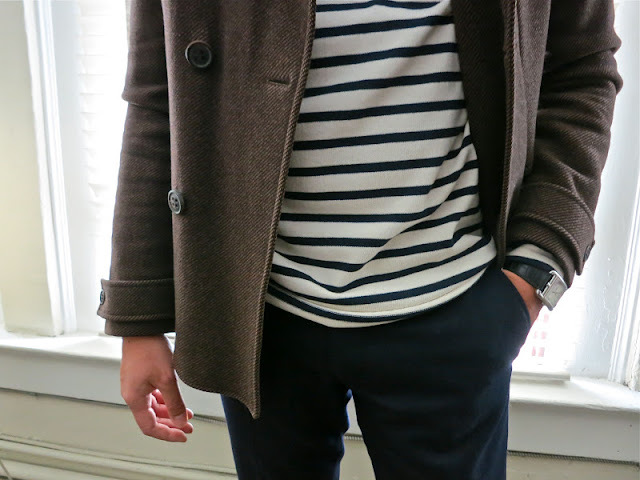 Naval stripe shirt : Love this for layering purposes. Oh, and in my opinion, Saint-James does it best. 4. New Balance suede sneakers : New Balance hit a home run with these retro-styled shoes. Can't live without my pair. 5. Henley long sleeve shirt : I don't know if this counts as a trend, since henleys have been in forever, but I feel like I've been replacing all my normal tees with henleys for the past several years. 6. Denim jacket : I was against this trend for quite some time. Maybe because I used to associate denim jackets with bikers and bullies. Anyhow, my thoughts have clearly shifted. (Don't wear it like the guy below though, gotta have some contrast from the pants). 7. Pocket crew neck tee : Simple but stylish. Kind of like that gray sweatshirt above. 8. Braided belt : Leather or fabric, doesn't matter. 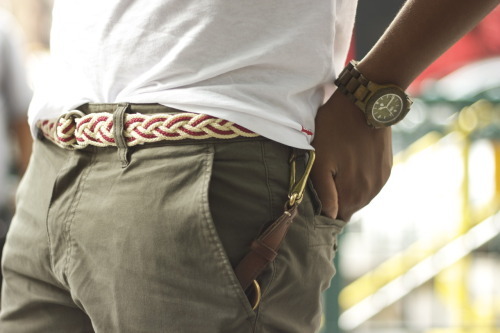 Braided belts go amazing with any casual outfit. 9. 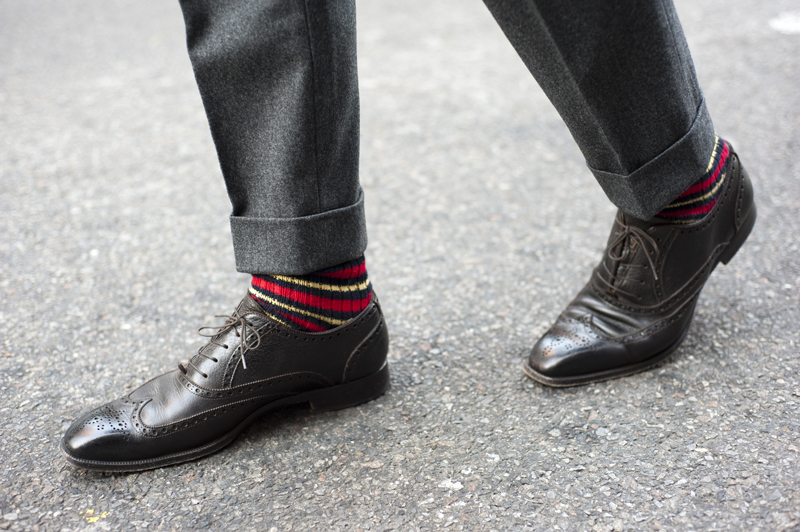 Colorful socks : You all know how I feel about colorful socks. They've been in for a while now, but I still like 'em. Adds spice to any getup. 10. Varsity / baseball jacket : So random to me that a varsity-styled jacket has become trendy. I can't help but think they look awesome though. So there you go, my top 10 trendy staples. If you're wearing one, two, or any combination of these pieces, I guarantee you'll get a compliment or two throughout the day from coworkers or friends. They'll all suddenly think you're in the know. Copyright © 2015 Simpler Man. All Rights Reserved.